In today’s date, cybersecurity groups are facing hurdles when they try to keep pace with modifications in their existing network. Technologies like virtualization, IoT and BYOD devices’ explosion, virtualization, agile application development, crushing data speed and volume, and Shadow IT, had increases challenges in cloud computing security. Meanwhile, Cyber criminals have engaged themselves in performing their own digital changes. Day-by-day threats are becoming faster, harder to address, and better at determining and exploiting vulnerabilities. Therefore, now its time for cloud security teams to understand the things like – how cyber criminals work. This scenario is going to help them in creating an unbreakable cloud data protection bond, which may have no single gap for hackers to enter into the targeted PCs. Rapid growth in the use of machine learning technology, the origination of new sophisticated threats like crypto mining and Ransomware, etc., are diverting security groups with what exactly to do to secure online data. Prevention against cloud threats in digitization environment demands a dedicated team of cloud security experts who work in a smart way, instead of working hard. Target on every link of attack chain has been used as a strategic plan by cyber criminals. They use this strategy to collect data and acquire access to move across the network in a lateral manner. It helps in discovering online resources to target and evade detection at the time of data exfiltration. Traditional strategies for cloud data security tend to focus on a small amount of attack elements but, they are not enough to compete with today’s threats. 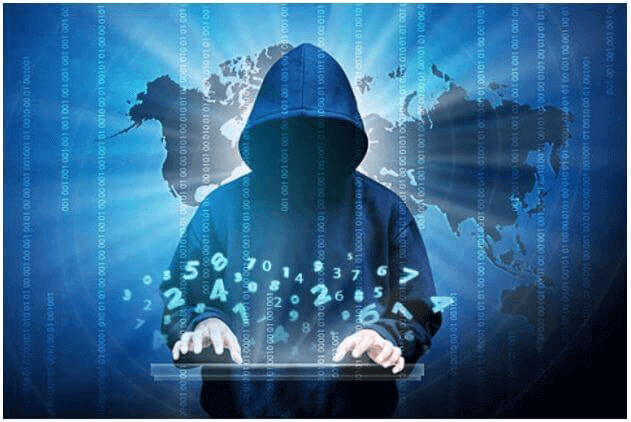 These strategies are major advantages for cyber criminals worldwide because traditional cybersecurity measures are simple to breakdown and perform desired threats on the targeted machines. It is important to have a combination of software, strategies, automated products, and skilled executives for monitoring the entire system of attack chain. This helps in addressing today’s challenges and hence, automate as much of the procedure as possible to protect online resources with high-level security. However, selection of these solutions demand deeper understanding about complete attack chain and the way cyber criminals work. Work In A Smarter Way, Not Harder – Consolidated solution with understanding of network functioning is required to address complete attack chain. It comprises an impact that future enterprises requirements would have over the network. Mapping those operations with attack chain enables cloud data security team to think more about the cloud computing security threats. Apart from this, in order to determine the procedure of cyber criminals, experts need to breakdown security links of MITRE attack chain link into two parts. Both these parts have their own set of perspective with different objectives in each. The first objective is to analyze how much risk is present over your business network. This can be done by encountering weaknesses inherent in the attack chain’s link, before the occurrence of a major threat. It comprises hardening existing protocols to be safe from exploitation, to disable unused ports, and to baseline known network traffic. All these ideas help in identifying new products and escalating data access privileges. The second objective is to enforce data protection measures in a strategic manner to address the majority of cloud computing security challenges with fewer security products. This permits end users to control and maintain all business resources from one place. It also enhances the ability to implement artificial intelligence and machine learning to determine challenges, before attack occurrence. Software like network access control verifies that end users are aware from network devices, while the SIEM components give assurance that the threat intelligence system is collected and interconnected with every element deployed in the workstation. Employ Cloud Security in Strategic Way – This heading itself clarifies that the strategic way might demand rethinking of your security deployment in a radical manner. Products have to be completely consolidated so that the network could identify and determine security attacks in a unified form. A self-healing network demands for security devices for sharing and correlating threat intelligence system to address and monitor workstation’s PCs, track applications, isolate infected devices, detect malware, and coordinate the response over a broad range of network ecosystems. It covers security from multi-cloud architectures, environments, and apps, to the remote individuals and IoT devices connected through virtualization mediums. Remember that threat intelligence and response systems have to be driven into every link of the attack chain. Whenever possible, AI is essential to be enforced to integrate the security fabric. It should be capable of responding over the threats quickly and have the capability to provide in-depth supervision technique. Why to Worry, When CloudCodes CASB Solution is There? As discussed earlier, fewer solutions should be there to enforce cloud security solutions and detect the majority of threats. One such solution is CloudCodes CASB software! This product is all-in-one approach that comprises of cybersecurity measures like cloud DLP solutions, access controls, Shadow IT security, mobile device management, and much more. The brand offers its clients relief from the stress of online data security, and enable them to focus more on their business growth.